Archbishop Janani Luwum was the Primate of Uganda from 1974 – 1977. He was an highly educated clergyman who also fought for the rights of the people of his nation. During his entire time of service (diaconate through bishopric), there was tremendous lack of stability in the nation. There was a revolving door of presidents and dictators. However, perhaps the most infamous dictator, Idi Amin came into power in 1971. Archbishop Luwum would speak out against the crimes and atrocities of Amin’s regime towards to the people of Uganda. This would often placing himself at risk. On 17 FEBRUARY 1977, the Archbishop and other clergy (including Roman Catholic and Muslim clerics) were called to the palace of President Amin for suspicion of “treason.” All were released except Luwum. Luwum was discovered dead a short time later. His body was not released to him family for three weeks. This is a reminder to me that in the end of the day, we all are accountable to God, especially his clergy. The priest is a representative of Christ on Earth (this is my Anglo-Catholic theological perspective on the role of priest), or as St. Thomas Aquinas would say “a minister of Christ.” As such, we are responsible for the souls of those entrusted into our care, and accountable to HIM who has ordained us since before we were even thought of. 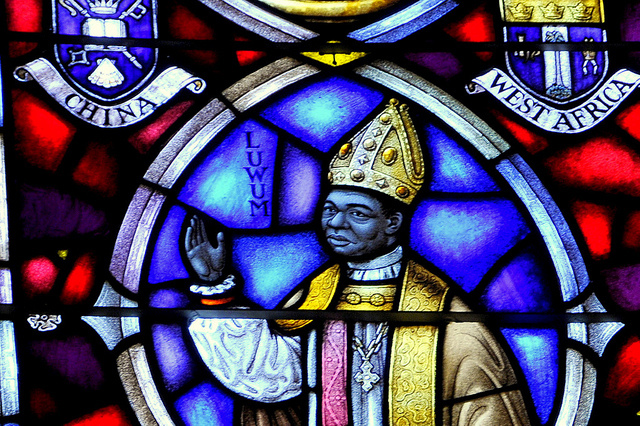 As a result of Archbishop Luwum’s dedication to Christ’s call on his life, he will be forever remembered as a 21st Century Martyr, with a statue at Westminster Abbey accompanied with others martyrs such as Rev. Dr. Martin Luther King Jr, Archbishop Oscar Romero and Rev. Dr. Dietrich Bonhoeffer.